INNER BOX, OUTER BOX, AND ALL PAPERS AS IF PURCHASED FROM AUTHORIZED DEALER. 1 YEAR SERVICE WARRANTY COVERING ANY MECHANICAL DEFECTS ARISING AS A RESULT OF NORMAL WEAR AND TEAR. Please complete the form . 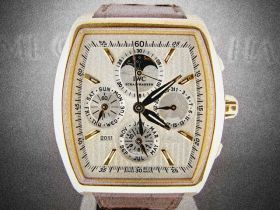 A TimeKeeper specialist will respond within 24 hours to answer any of your questions. 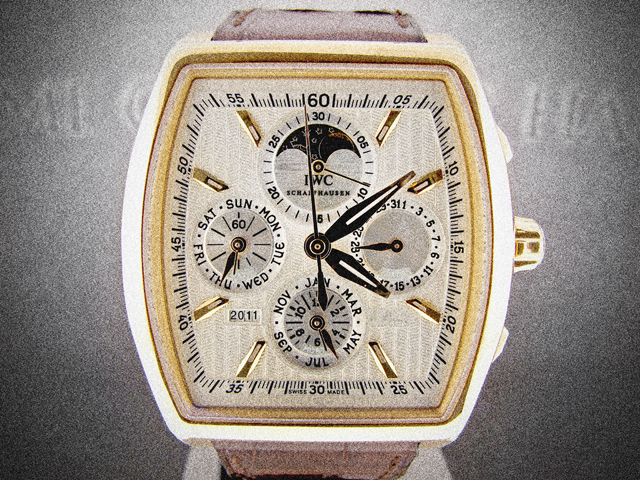 Collecting watches is a journey, and trades are milestones on the road. Goals change, experience grows, and new flames emerge to capture the imagination. Continue the adventure with a new companion, and trade your old watch with watchuwant.com.